hoodie | I'm not stalking you. 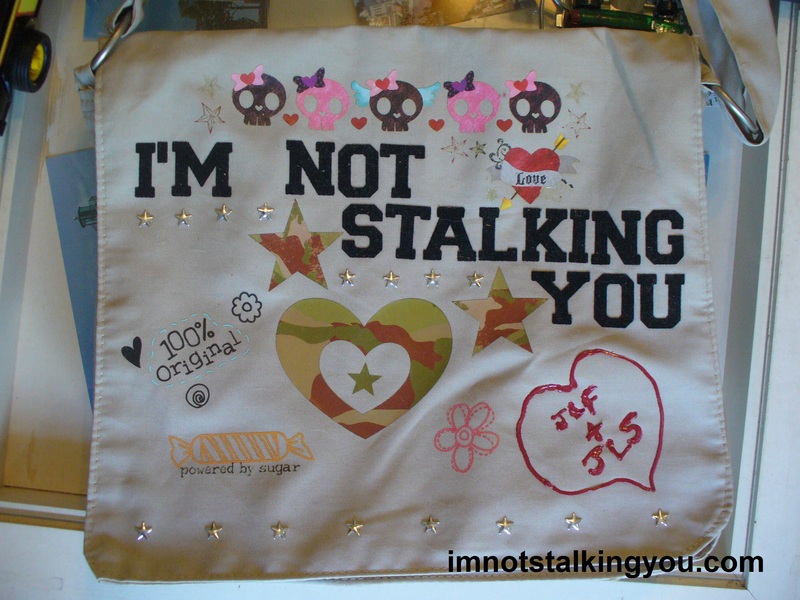 Official/original/one & only “I’m not stalking you.” messenger bag. I found this messenger bag in my dresser drawer the other day. I made it before I had a website. 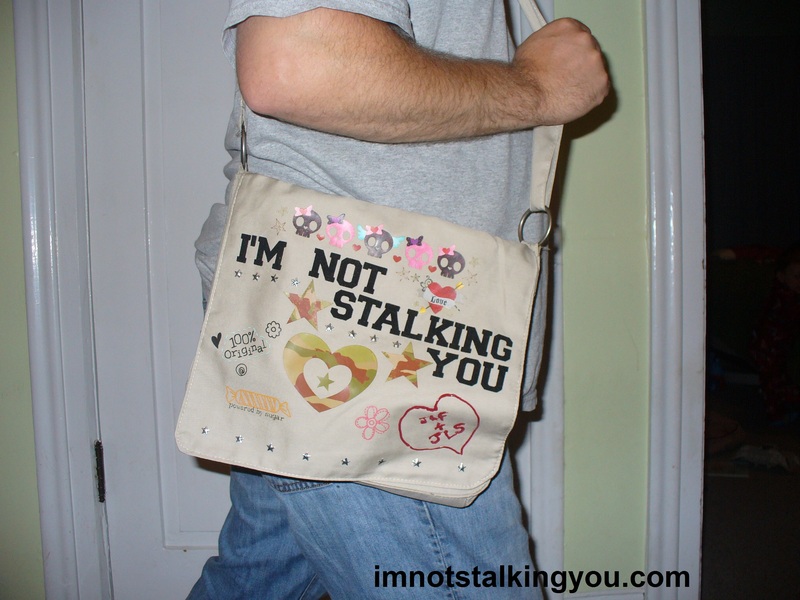 Back when I thought that “I’m not stalking you.” was just a great catch phrase. 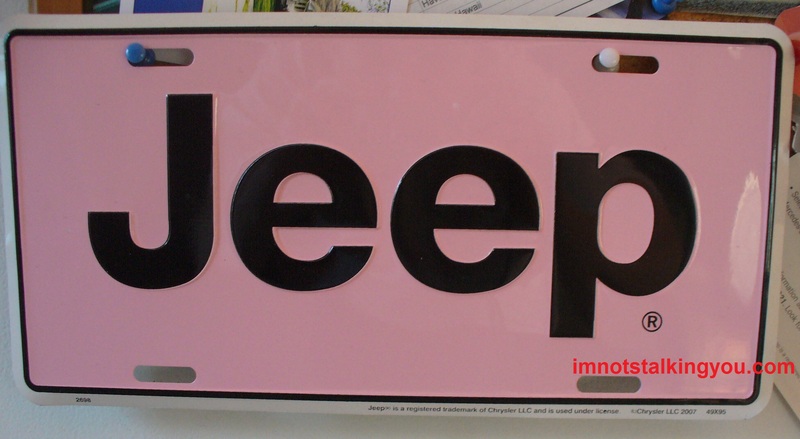 Or would be a potentially awesome way to brand a clothing line. The messenger bag in action. To refresh your memory, here are some other hip looks. 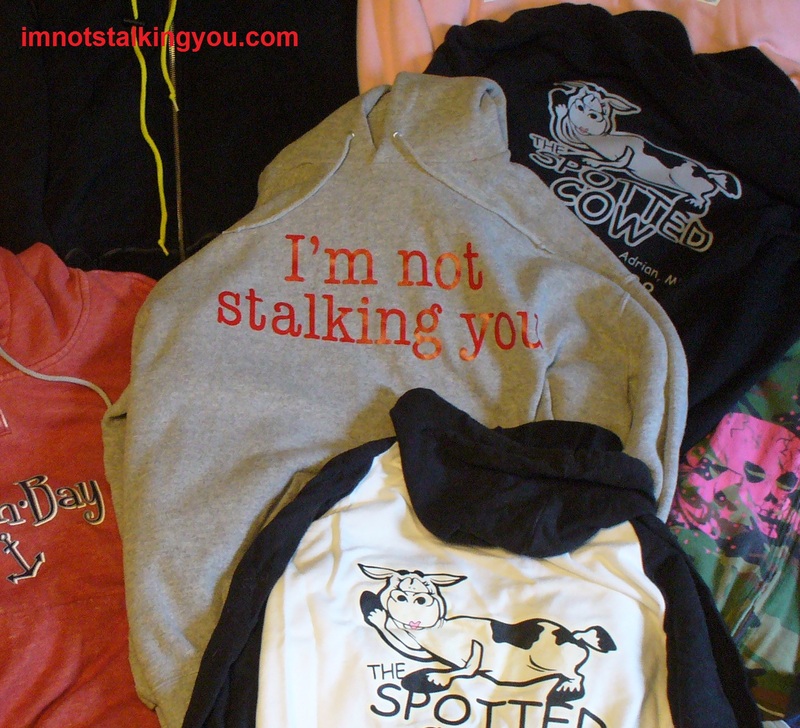 The “I’m not stalking you.” hoodie. 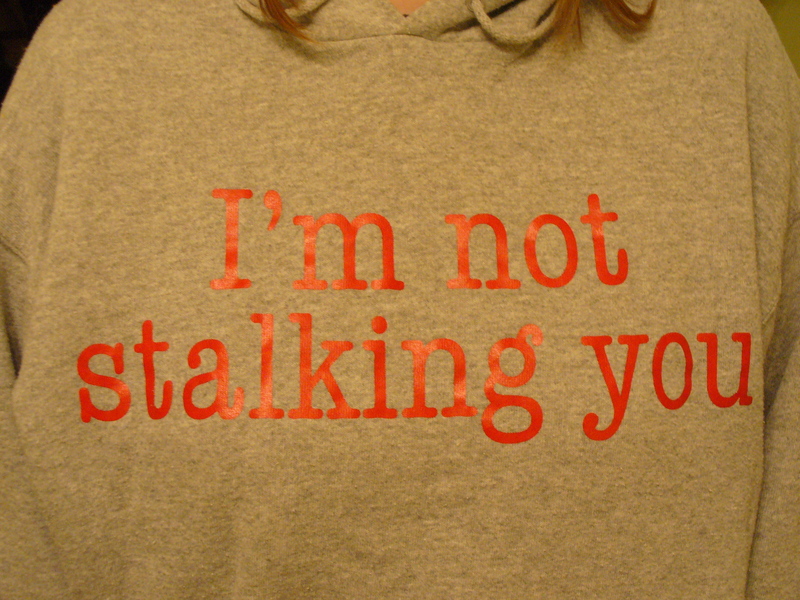 The “I’m not stalking you.” T-shirt. 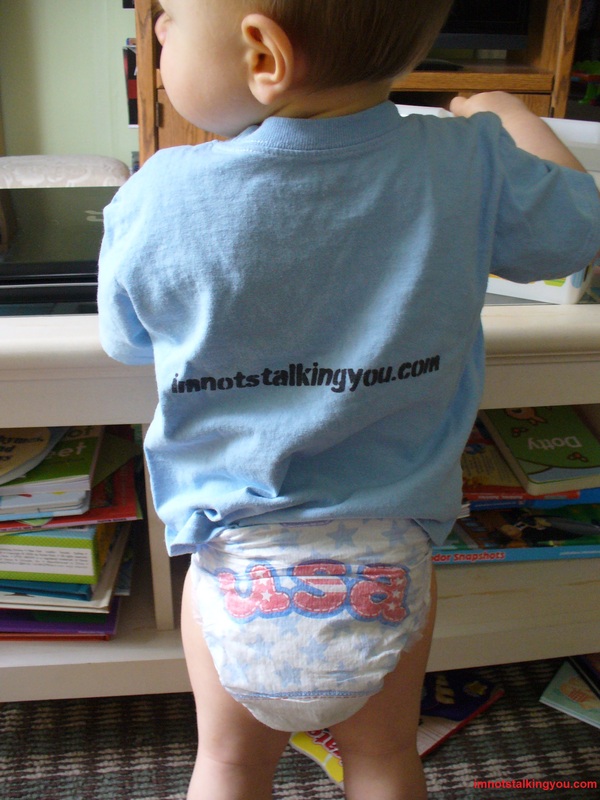 The toddler “I’m not stalking you.” T-shirt. Posted in A day in the life, UnProfessional Photography & Artwork and tagged bag, clothes, clothing, fashion, funny, hoodie, humor, messenger, skull, T-shirt, tote. Bookmark the permalink. Hoodies have been in the news a lot lately. This post has really nothing to do with any of that. When I was little, I had a blue zippered sweatshirt jacket I loved. You know the type, with two pockets and a drawstring for the hood. Many pictures exist with me wearing it. 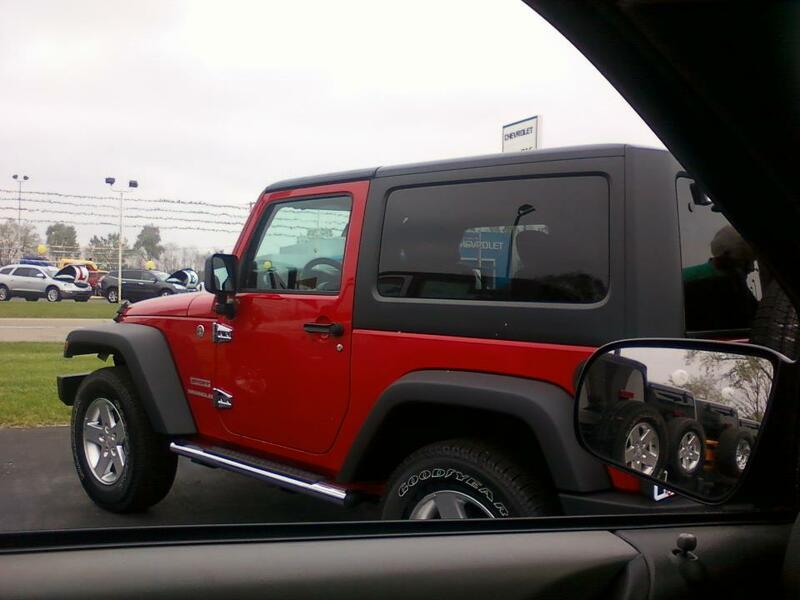 After the blue jacket, I believe I owned a red one. Then a grey one. Then a yellow one. For several years, I didn’t have a sweatshirt jacket, as they were referred to around my house. I don’t even think I realized they made them in adult sizes. Plus, at that time, jean jackets were all that was cool to wear. Then when I was in high school, I found a red sweatshirt jacket adult-sized at my local Meijer store. I bought it and wore it all the time. 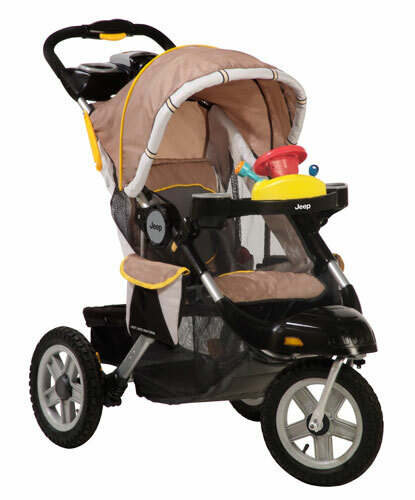 It was just like the one I had as a kid, with the drawstring hood, zipper, and two pockets. When I was in college, I had no winter coat. 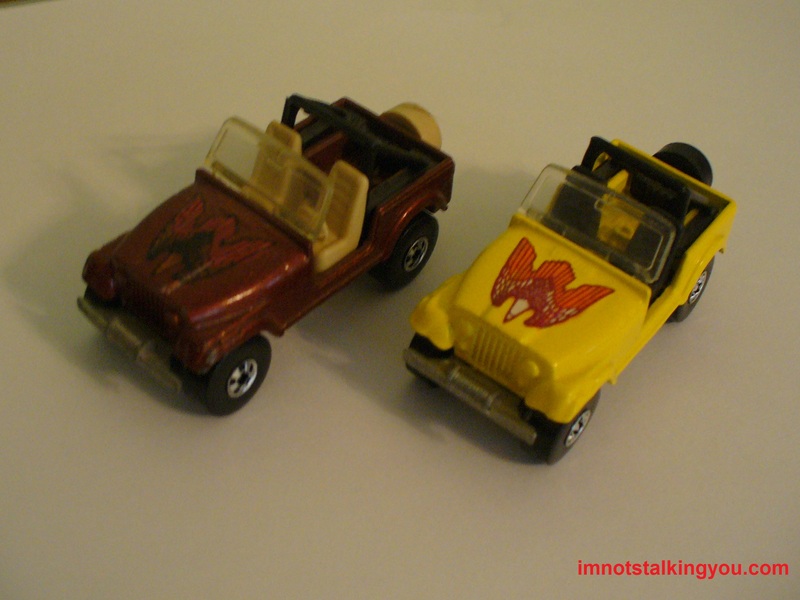 I didn’t have the time or money to get one. But mostly, I probably just thought they were bulky and uncool. So I always layered my denim jacket over my red jacket when it was cold. Yeah, I was cool. On Saturday Night Live, Adam Sandler sang a song called “Red Hooded Sweatshirt”. I totally felt he was singing about MY red hooded sweatshirt. I loved that song, although it never became as popular as say “Lunch Lady Land” or “The Chanukah Song”. The highlight of the SNL performance is the reaction by Adam Sandler to Sir Paul McCartney’s cameo. I only had that one hooded sweatshirt for many years. After all, you only need one, right? Then I started a new job and met a crazy girl with green hair. (Of course she was crazy, she became friends with me, right?) She had a hooded sweatshirt for every day of the week, and then some. That is the first time I ever heard anyone use the term “hoodie”. I had to admit, it was kind of catchy. And I totally blame the green-haired girl for badly influencing me to increase my hoodie collection exponentially. I should probably also blame my employer at the time for keeping the building so cold that people had to run heaters under their desks to keep warm. And for a casual dress code. The purchase of my favorite hoodie was the result of bad planning. My mom, soon-to-be-husband, and I went to Put-in-Bay, Ohio for the day. As it was summer, I didn’t take a jacket, completely forgetting that land surrounded by water (a.k.a. islands) are cooler than the mainland. So I found a totally overpriced hoodie in a souvenir shop and bought it. I thought I would wear it that day and never again. But, I have found, that sometimes impulse purchases are the best ones. (Or the worst ones, but I digress…) It is a beautiful sort of dark rose color. It has two snaps at the neck, which thank God, have never triggered my nickel allergy. It is just the right amount of too big for maximum comfort. It has a pouch on it, rather than two individual pockets. Brand new, the inside was super fleecy and warm and fuzzy. My green-haired friend (before she went on Paxil) coined a great term called “cocooning”. It is when you don’t really want to be at work or around anyone and anxiety is eating at you and you just want to hide in a cocoon away from the world. My Put-in-Bay hoodie was perfect for that. Nine years later, it is no longer as fuzzy. And the elastic cuffs on the sleeves started to rot off, so I had to cut them off. But it is still one of my favorites. And I am wearing it right now as I type. 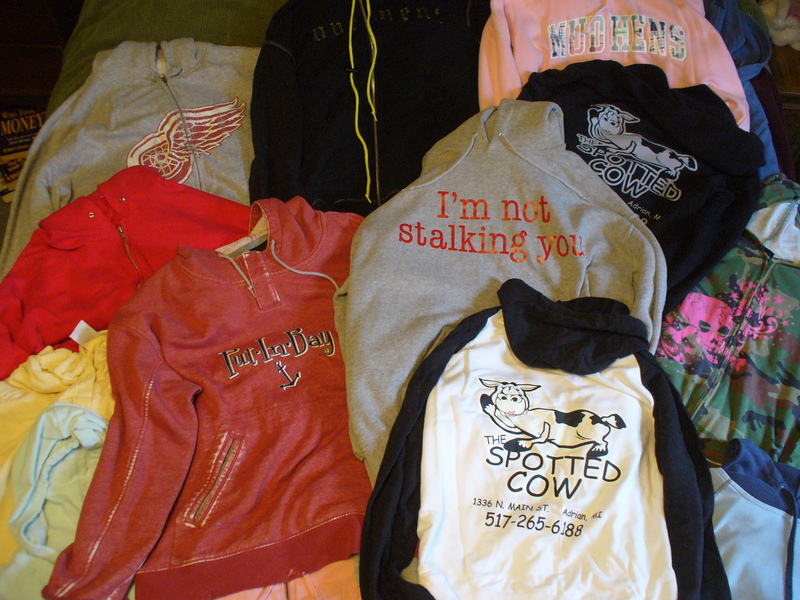 Following Put-in-Bay, one of my favorite hoodies is my black “Spotted Cow” jacket. It was also super fuzzy when I bought it. Not so much anymore. When I wear it, everyone asks me if I work at the Spotted Cow (Uh, no. Duh. Why would they assume that? I just want to stay warm!). 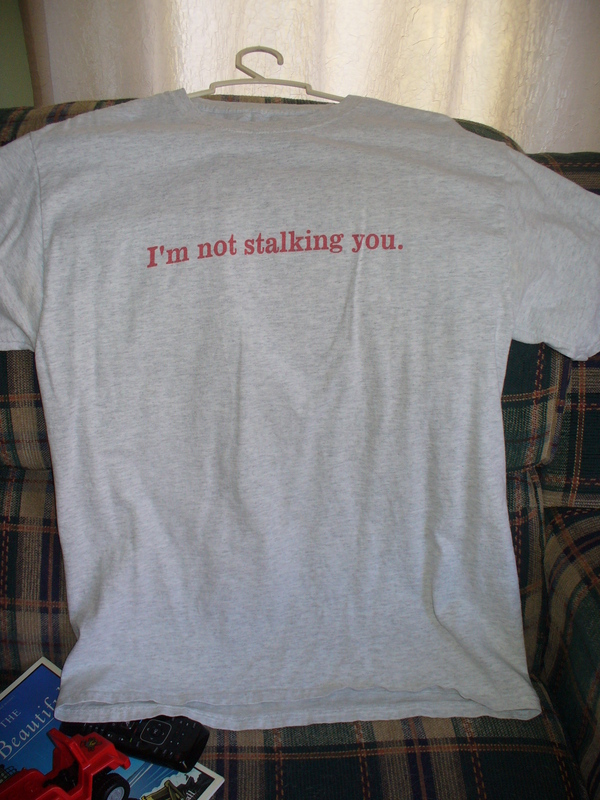 And then there was the time I told my friends it would be funny to have a shirt that said “I’m not stalking you.” Because, you know, that is just what someone who is stalking you would say. So I ordered myself a hoodie with that saying on it for my birthday. I must admit for a while my hoodie addiction was out of control. And I have to control it every day. You never get over hoodie addiction. It is a disease you have to deal with one step at a time. By my estimate, I currently own about 16 hoodies, including one for bedtime. My favorites get worn more than the ones that are not. I must admit, during the summer I miss slipping into a comfy old hoodie. I even had a maternity hoodie when I was pregnant. It was blue. Very similar to the color of my first hoodie I can remember. 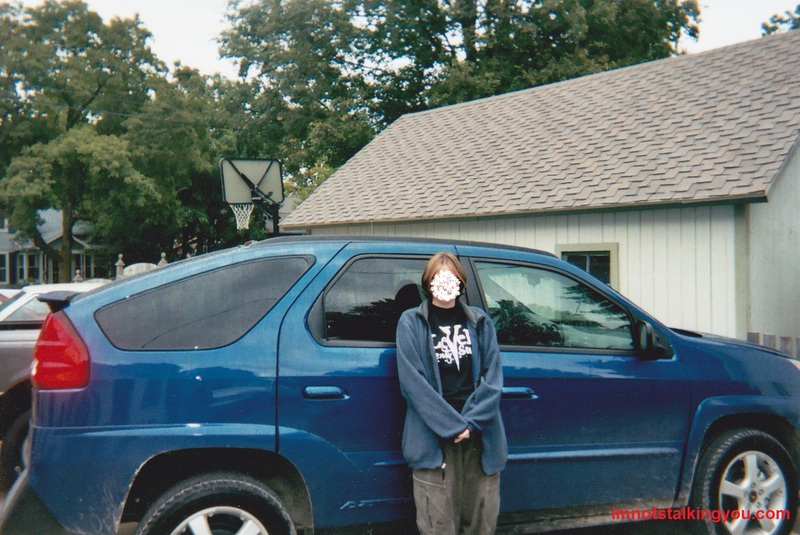 Posted in Childhood Reminiscing and tagged Adam Sandler, Clinton Kelly, cocoon, comfort, hooded sweatshirt, hoodie, Meijer, nickel allergy, Paxil, Put-in-Bay, Spotted Cow, What Not To Wear. Bookmark the permalink.